Where I come from it is taboo to talk about death. Even your closest family and friends wouldn’t want to know how you prefer to die. In fact death is such an unacceptable fact of life that the mere act of talking about it is considered as “bad luck”. 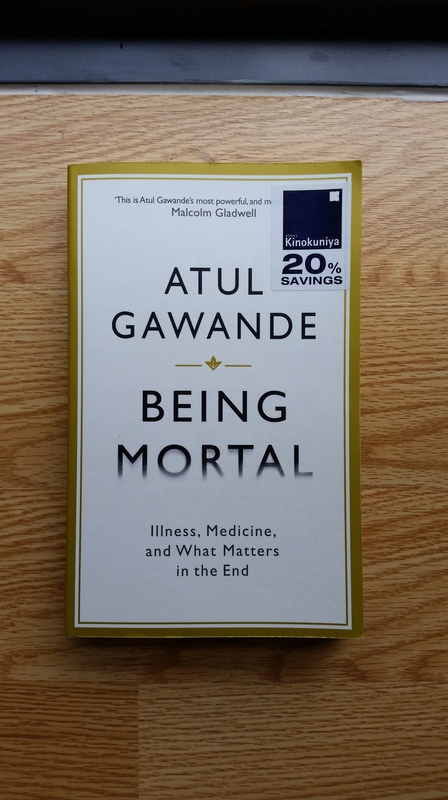 In Being Mortal, Atul Gwande walks us through the reality of mortality – through old age and through terminal illness. As an American of Indian descent, he talks about how America as a society takes care of its aged population. As a surgeon, he shares how patients with terminal illness and their families dealt with their situations. The book touches on a topic not many others dare to discuss; it raises questions others are unable to ask before. What is a decent way to leave this place, for instance? What is a decent way to live in it? How far would you go to prolong a loved one’s life? Would you rather live a life in constant pain or to let go of both? As much as Being Mortal is thought-provoking, it is also well written and organized. Perhaps because the author is a man of science that he is careful to distinguish facts from opinion. Unless you are a God or a Demi-God who lives on ambrosia, then this book is worth reading. Would I recommend this book to a friend? Yes. For starters, How Google Works is a management book. In fact, I stumbled upon it in the business section of the bookstore. It was written by two leaders reflecting on how their company hires, value its employees, come up with important decisions, builds its portfolio, and define the company culture among others. You would want to read this book if you are a manager or desire to be one someday. If you are one of the brave and fortunate enough to set up her own business (within the IT industry or not), you will sure to find gems of advise and inspiration among the pages of this book. If you have reached a decision-making position, then this book can give you insights on what may or many not work for a company in the Internet Century. Finally, if you are simply one who enjoys thought-provoking materials then having a peek inside one of the world’s best companies is time well spent. How Google Works is close to my heart not only because I believe that Google is great a company in many ways I can argue but also that my profession belongs to the same industry. I will then take this review as an opportunity to add anecdotes and dimensions to some points raised in the book based on my own experiences working in Corporate IT. I’m writing from a perspective of someone who has only played technical roles and has worked in several multi-national companies in Singapore and the Philippines, so consider that as my vantage point. Google promotes a culture of Fun and Yes. A culture where teams are organized around people who matters and contribute the most. The chapter on culture also introduced me to the word knave – which by definition means “a dishonest or unscrupulous man”. Knaves are people who make their co-workers lives’ miserable and great contributors to why smart creatives leave a company. Knaves are people who we usually call with the A* and the B* words. The problem with the A* and B* words is that I can’t use them with my family, and to simply call a knave “a man or a woman in office” does not seem to justify the amount of evil this person do. Divas, the lesser evil cousin of knaves are also mentioned in the book, but instead of talking about them, I would like to add a third social persona – Gangs. A gang is a group of knaves, soon-to-be knaves and knaves wannabes within a team. Gang members support each other and only each other and put its members growth first before the rest of the team. Gangs are more toxic than individual knaves because their collective evil is stronger than the individual good of other team members. It is also worth noting that gangs only exist when there is NO meritocracy in the company. This absence is the air gangs breathe. The unfortunate truth is that they exist and even evolve. If you are not in the position to dissolve these gangs, the best thing you can do is stay as far away from them as possible. On the brighter side, I have met leaders who are smart enough to identify and break up gangs; those are the leaders you want to associate yourself with. Google illustrates in the book how much effort it gives in hiring the best people it can find and how it tries as a company to make them stay. The reality is: identifying good employees through a series of interviews and exams requires an investment of time and creativity not all company is willing to give. And getting good people in is just a beginning. A company needs to define career paths, evaluation criteria, training plans and other devices to manage its worker pool. These responsibilities do not directly generate money and obviously incur costs. A trending workaround to this dilemma is outsourcing. Outsourcing works by getting people work for a company via a third-party without the associated Human Resources cost. There are pros and cons of outsourcing that is out of the scope of this article, but I would like to point out a disadvantage related to talent. Because of the lack or worse absence of proper evaluation on external personnel, the company may overlook smart creatives already working under them. This is more problematic when the company has gone beyond outsourcing operational personnel into outsourcing investment activities that is supposed to serve as the company’s competitive advantage. A smart creative in her right senses will not settle in an environment where all her efforts go into a black hole. And when she leaves she takes her expertise, efficiency, ideas, and mentoring experiences with her. She will leave footprints too big for those she left behind to fill. The 2nd half of the book focused on decision-making, communication and innovation aspects of a business. Instead of expanding on these topics, I would like to encourage the leader readers of this review and hopefully of the book to take a step back and re-assess his or her own company’s leadership style. It is easier to be on defensive side and say that Google can afford to work the way described in the book because it is Google. Perhaps it would be more helpful to think that Google is Google because of the way it works. 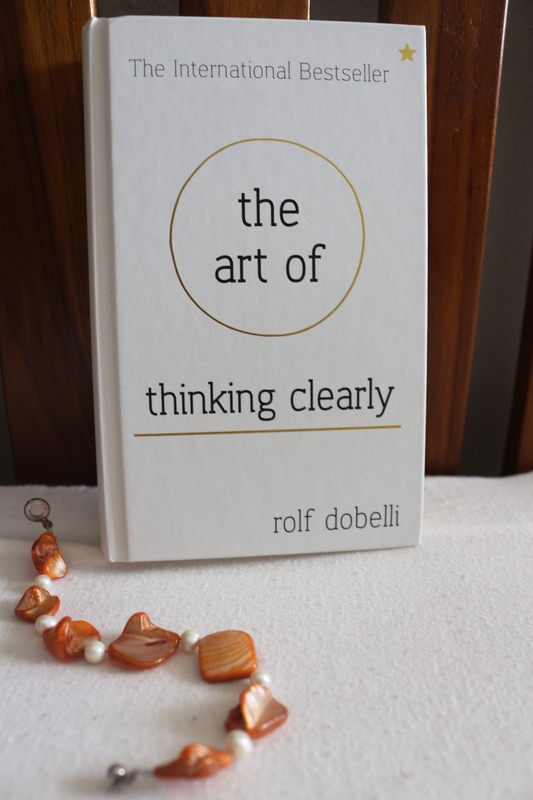 First of all, contrary to what the title suggests, it is not a methodical book which describes to its readers the actual art of thinking clearly. What it contains are 99 chapters about the fallacies, biases, effects, illusions, tendencies, and misconceptions of the modern day society. The contents of the book are without a doubt interesting, but the format is what turns me off. Each chapter is a mini essay with a definition, proofs or examples, and conclusion/s all in 3 (roughly a thousand words in total) pages. Although possible, it’s less likely to explore an idea in detail – confirmation bias, for example – in such very short passages. Instead of ending each chapter with references to other chapters of related topic, the author could have gathered his points, organized the pros and cons, and elaborated an idea in longer but unified sections. This approach would have made his conclusions more convincing. There are other points, however, that makes his conclusions less convincing. Since the book covers an array of topics, the author disclaimed that there are too may references to include in the book. Aside from the explicit quotes of other authors such as Mark Twain and Nassim Taleb, most claims do not include notes or citations. For a book that states “news is irrelevant”, you would expect a reasoning based on facts and studies. Speaking of Nassim Taleb, well, Nassim Taleb was heavily mentioned in the book. At some point you could think that The Art of Thinking Clearly is a celebration of Nassim Taleb’s works. That thought might be an exaggeration, but do not be surprise if you (like me) end up getting a copy any of Taleb’s books yourself. In summary, The Art of Thinking Clearly did not meet my perhaps very high expectations. My most important take-away from reading this book was the difficulty of giving a review on something I didn’t particularly enjoy. Will I recommend this book to a friend? Not really. All the light we cannot see is the first fiction book I finished reading in 4 years. Moving to Singapore opened a new path for my professional career, and as I moved from .Net development to business intelligence I realized how much material needs to be studied fast to catch up. From then till early this year, I only read technical, career-related and “self-help” books. To make sure I have enough in queue to continue my Book Reading habit of 2015, I went to Amazon. This emerald covered hardbound is the #1 fiction of 2014. It tells two stories in parallel – one of a curious boy in Germany and another of a blind girl in Paris – set during the World War 2. All the light we cannot see lived up to my expectations and more. 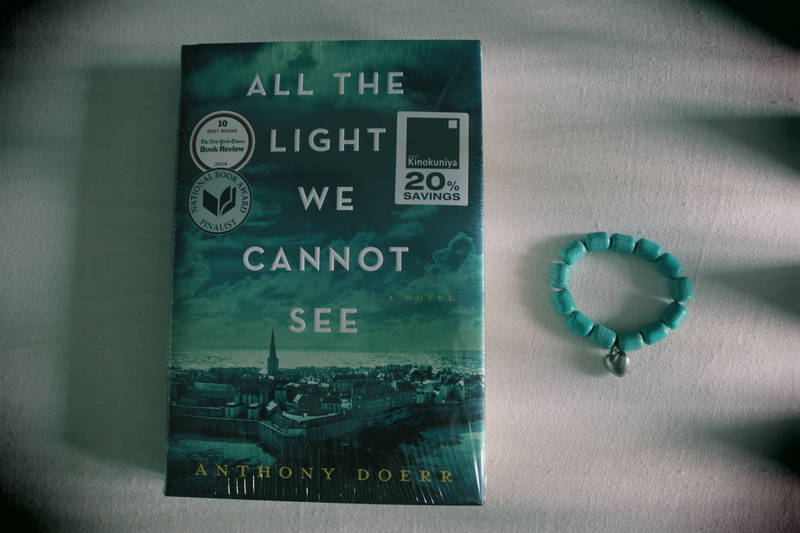 It is the kind of book you would read until 3 am in the morning, until your eyes can read no more. The pace of the stories are just right. There is enough suspense to make you look forward to the next chapter. The paragraphs are woven with harmony; every sentence a piece of an image of the scene the author wants his reader to see. If you are particularly fond of science, the ocean, and history, then this book has icings for you. Will I recommend this book to a friend? Yes. 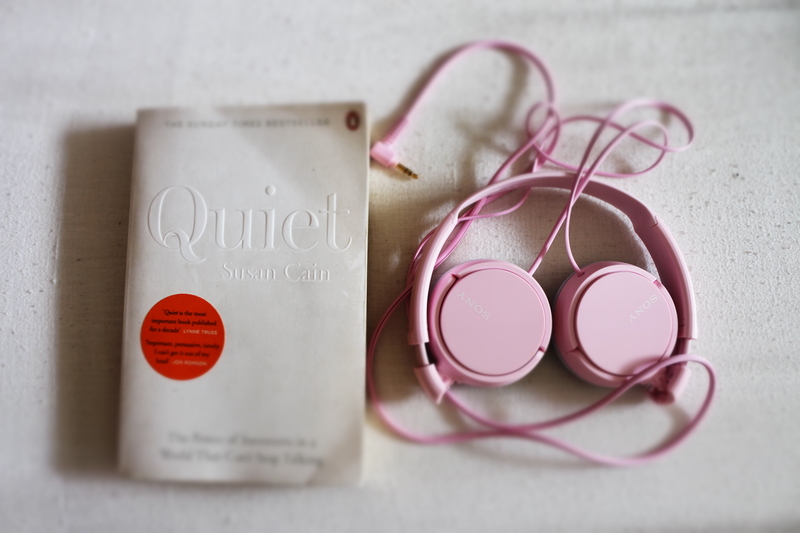 Quiet is a book for introverts by an introvert. 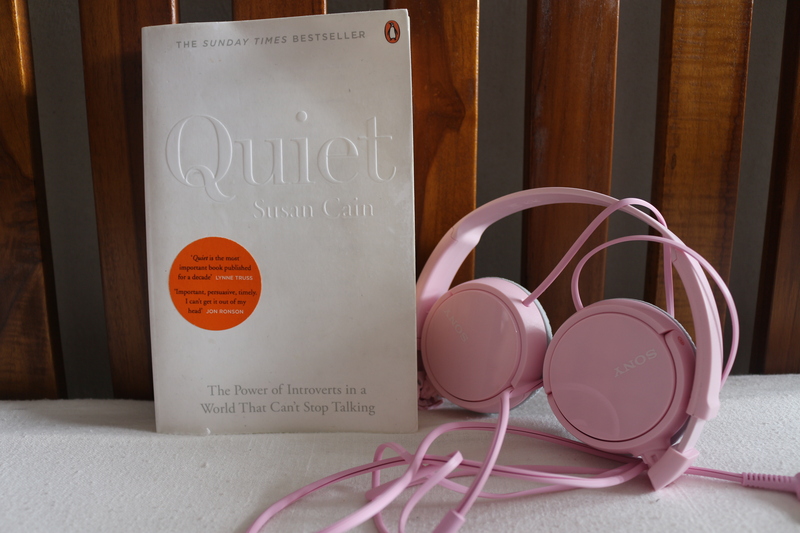 Susan Cain, a former Wall Street lawyer, started the book by describing the physiological aspect of introversion. Using research after research, she tells stories of how a natural “introversion” can be nurtured by an environment for the good or the bad. She tries to explain how introverts, often referred to as “shy people” (which in psychology is not necessarily the same), sees and reacts to the world. She wrote of circumstances when an introvert leader may be better than an extrovert one and vice versa, how a manager can extract the most potential from an introvert subordinate and even how a parent may raise an introvert child. My self diagnosis is that I am NOT an introvert. But you don’t have to be one to enjoy the book. If you have loved ones, colleagues or anybody close you think falls in this personality category, I would recommend that you read this book. It brings forth the perspective of one third to one half of the world population. People who end up becoming scientists, musicians, artists, educators, engineers and many other professions that require solitude to perform.